Cathedral Diamond Double Row Engagement Ring | Shane Co.
Two rows of hand-selected round diamonds, at approximately .52 carat total weight, shimmer up the sides of this stunning cathedral engagement ring crafted from quality 14 karat white gold. 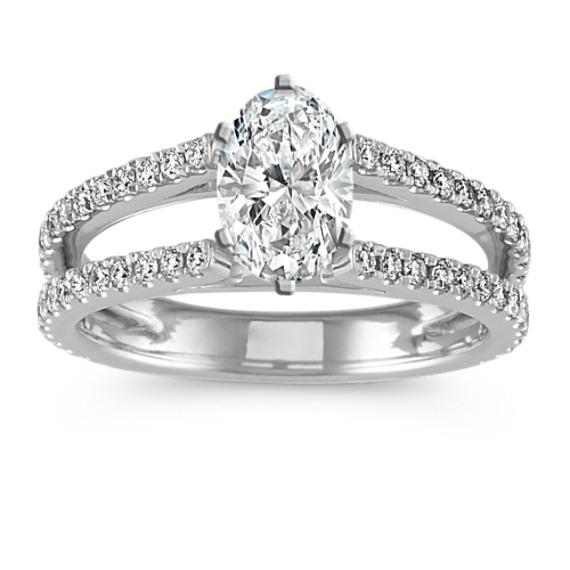 The center gemstone of your choice will be center stage in this gorgeous ring design. The ring is 6mm at the center and 4mm at the sides.